Two hundred years ago, before multinational corporations had formed, business almost always took place face-to-face between buyer and seller. Through the power of advertising, mass media, global distribution, coupled with big-box retailing — people learned to happily hand their cash over to complete strangers on the sole authority of a brand. The trend continued and consumers became ever more distant from retailers until, through online purchases, almost total impersonality became possible. Moreover, he adds that such an ethic could be a huge help in general character-development, something my intuition tells me that Dr. Casebeer is implying might be helpful to our country since we cannot teach religion in public schools. An empirical moral theory perhaps would not cause a political or religious blowback and long-term might even prevent some of the peculiarly inane and brazen immoral behavior we have come to take for granted lately even in our leaders (such as, for one of many examples, in the headlines about Congressmen). "How Social Networks and Neural Networks work Similarly... 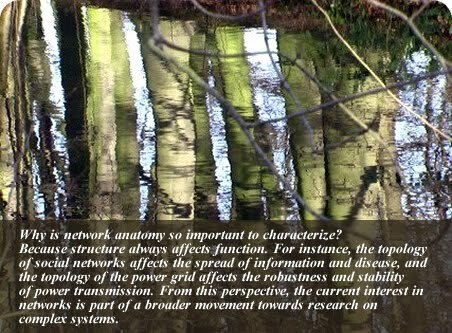 Fascinating to see Parallel Systems in Nature and Social Networks."